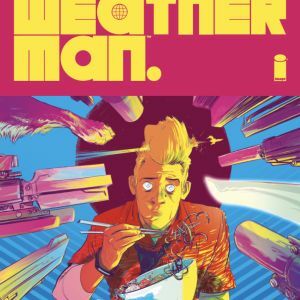 PORTLAND, OR, 6/14/2018 — Image Comics is pleased to announce that, in order to keep up with overwhelming customer demand, THE WEATHERMAN #1 by Jody LeHeup (SHIRTLESS BEAR-FIGHTER!) and Nathan Fox (DMZ, HAUNT, Dark Reign: Zodiac) is being fast-tracked for a second printing. THE WEATHERMAN #1 introduces Nathan Bright—a man who had it all: an awesome girlfriend, a kickass dog, and a job as the number one weatherman on terraformed Mars. But when he’s accused of carrying out the worst terrorist attack in human history—an event that wiped out nearly the entire population of Earth—Nathan becomes the most wanted man alive and a target of a manhunt that spans the galaxy. But is Nathan truly responsible for such a horrific crime? And why can’t he remember? 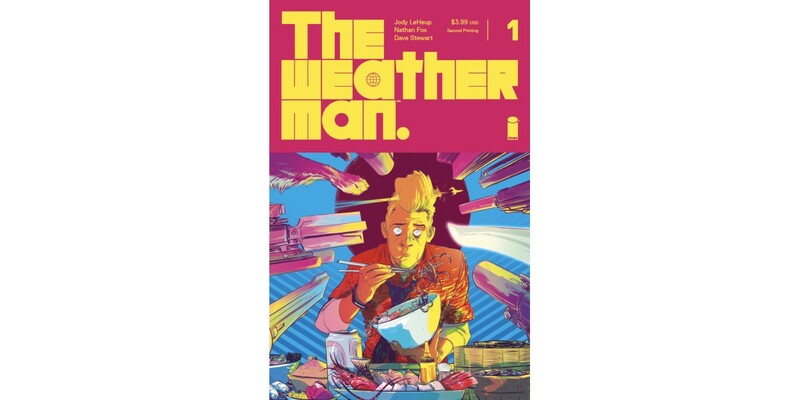 THE WEATHERMAN #1 will remain available for purchase across all digital platforms, including the Image Comics website (imagecomics.com), the official Image Comics iOS app, Comixology’s website (comixology.com), iOS, Android, and Google Play. THE WEATHERMAN #1, 2nd printing (Diamond Code MAY188562) will be available on Wednesday, July 11th. The final order cutoff deadline for retailers is Monday, June 18th. 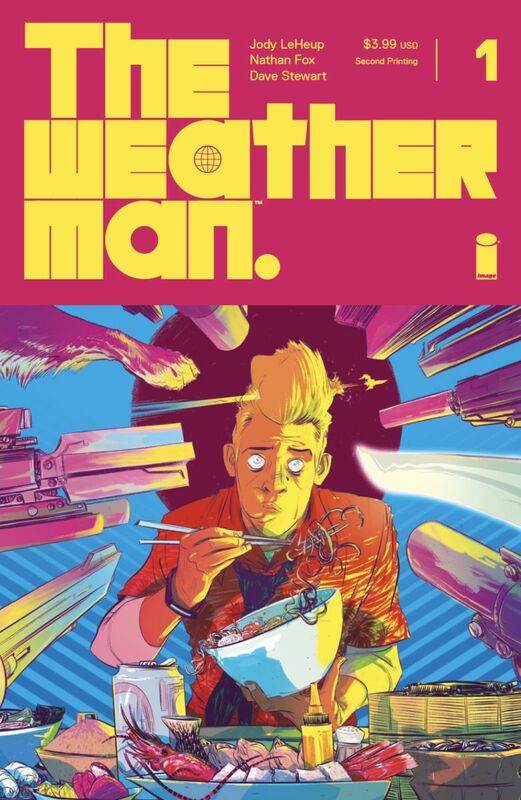 THE WEATHERMAN #2 Cover A by Fox (Diamond Code MAY180284) and THE WEATHERMAN #2 Cover B by Martin (Diamond Code MAY180285) will be available on Wednesday, July 18th. The final order cutoff deadline for comics retailers is Monday, June 25th.